Nike has set out to do what many say can't be done. On the anniversary of Roger Bannister breaking the four-minute mile, three athletes will dare to break the two-hour marathon barrier. Save the date and watch it live as we celebrate the chance of history being made and human potential being unlocked forever. Friday, May 5th at 10:45pm CST. From 60 runners, 3 were chosen - Eliud Kipchoge of Kenya, Lelisa Desisa of Ethiopia and Zersenay Tadesa of Eritrea. 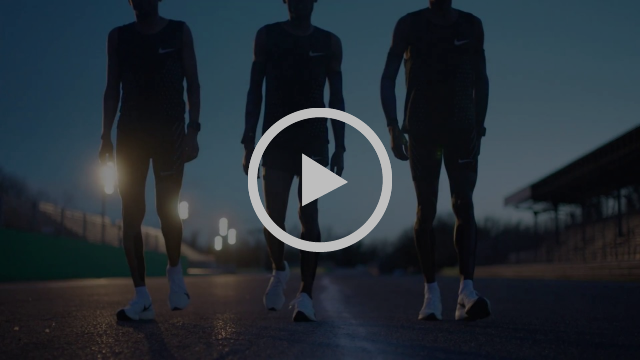 All from different countries and backgrounds, these three athletes will stare down 26.2 miles and the chance to make history.